Also known as "Two-bit street" or "Historic 25th," this street serves as a commercial thoroughfare, running east to west through downtown Ogden. The history and architecture add to the street's charm, with the most complete contiguous collection of turn-of-the-century commercial architecture in Utah. The street remains a symbol of the impact of the transcontinental railroad in Ogden as the junction between the Union Pacific and the Central Pacific Railroads. The architecture of late 1800s and early 1900s is significant in its designation as a National Historic District, but the stories behind the buildings are what make the street unique. A three-block stretch running east from Wall Avenue to Washington Boulevard. Nighttime view of Ogden's Historic 25th Street and Union Station. Photo courtesy Out of Bounds Creative. The decline of rail service led to the decay of 25th Street in the 1950s and 1960s. Property owners and the Junior League began taking interest in the street and organized a Historic Preservation Committee. Together, these two groups led the city in developing the 25th Street Master Plan in 1977. Physical upgrades were made to the street over the decades, including renovating vacant buildings, infrastructure upgrades to sidewalks, street lighting, and tree planting. Today, 25th Street draws crowds with its outdoor dining areas, local restaurants, merchant displays, amphitheater, pleasing features, and variety of year-round events. 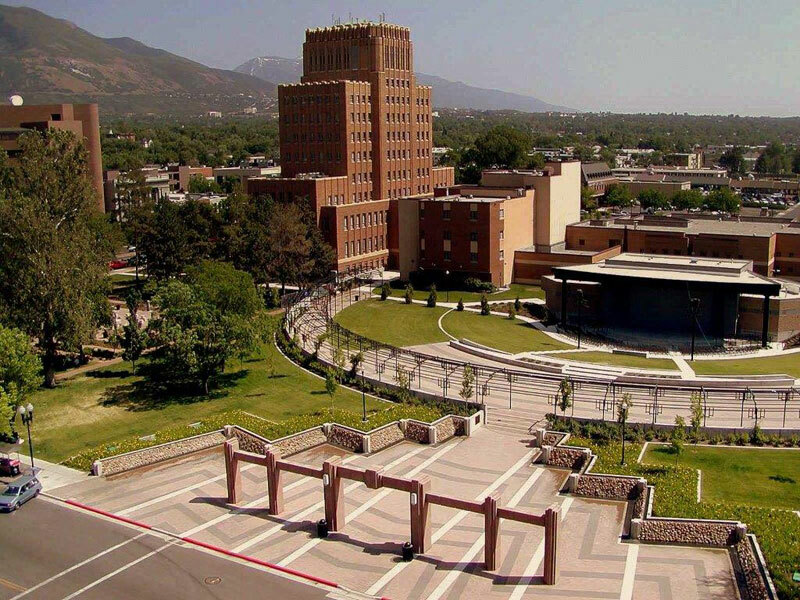 Ogden Amphitheater. 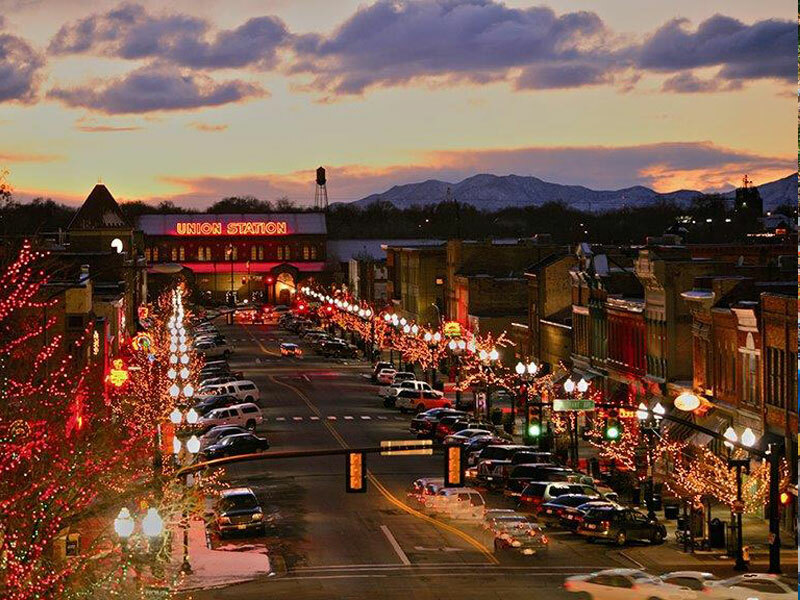 Photo courtesy Ogden City. 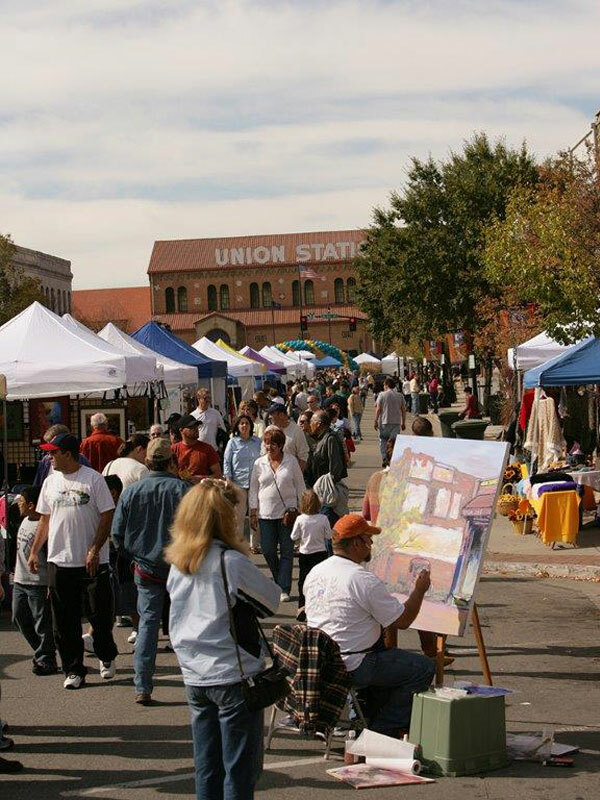 Annual art festival on Ogden's Historic 25th Street. Photo courtesy Out of Bounds Creative.